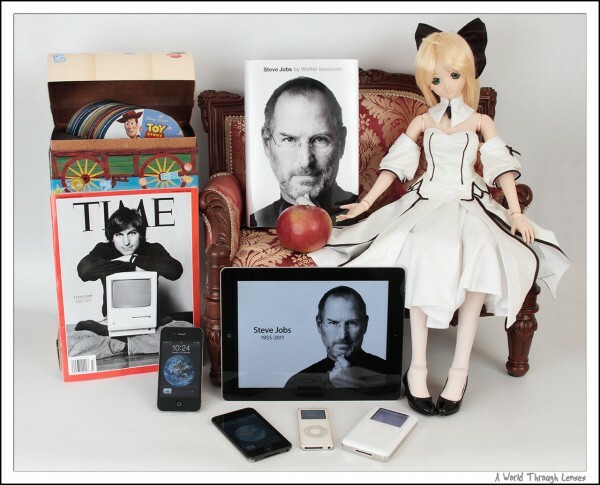 As a tribute to Steve, I have gathered a few things that I have acquired in the past to which Steve has brought to us. These are the things that I have considered to be of importance, and these are the things that I will keep as part of my collection. One will argue that the original iPod Classic, the one with mechanical scroll wheels and mechanical buttons, is the one that started it all. I even owned the iPod Classic 2nd Generation, that has a touch sensitive scroll wheel but retained the mechanical buttons, before I sold it to get the 3rd generation iPod. But in my mind, the 3rd generation iPod Classic is really the most important one out of all of the iPod Classic models. 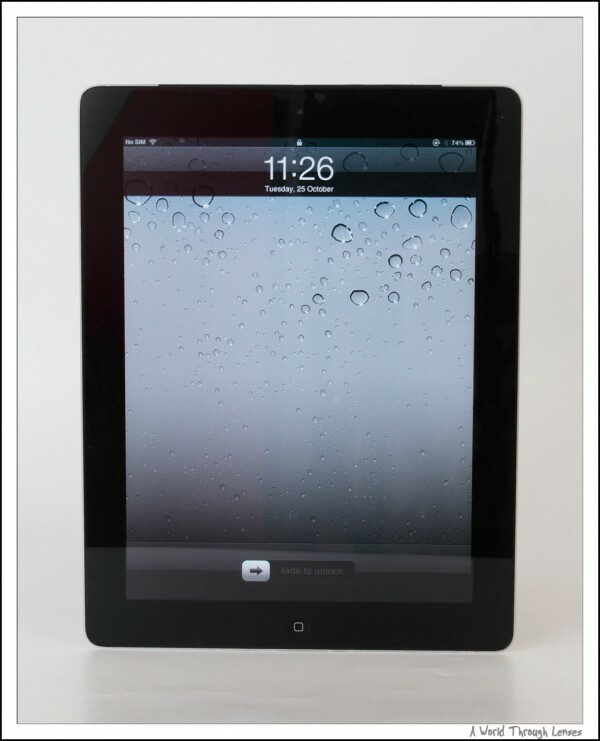 It is the first Apple consume device to have a full capacitive touch interface. 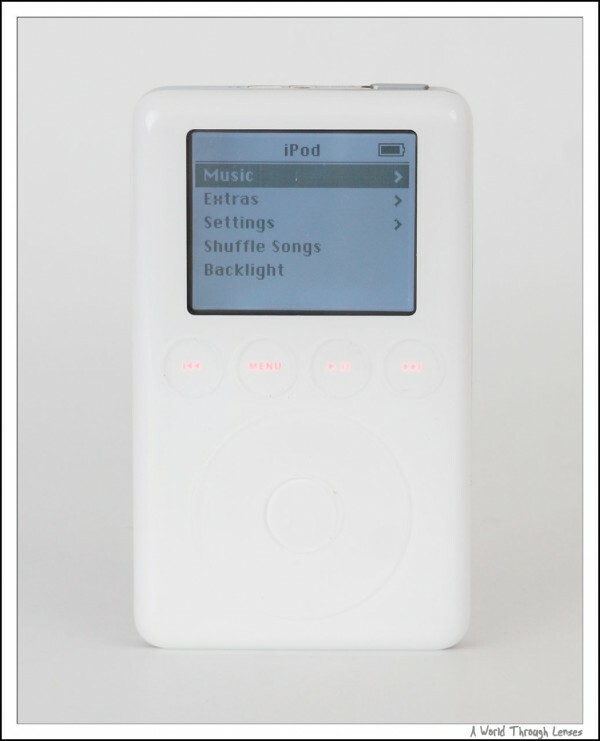 iPod Classic 3rd generation’s interface control utilizes no mechanical mechanism. They are all powered by buttons and scroll wheels that are sensitive to your finger’s touches. And of course today touch control interface, or more importantly multi-touch control interface, is the key in many Apple’s as well as competitor’s devices. This is first device that started this whole touch interface revolution. Secondly this is the first iPod that implemented USB interface. It cannot use USB for charging purpose, but it can use USB for synchronization. And today, more than 8 years after the release of the iPod Classic 3rd Generation, USB is ubiquitous for charging or syncing among all the iDevices. Here’s my iPod Nano 1st Generation the 4GB version. The protective skin is all yellow after all these years of use. It now barely has juice for 30 minutes of play, yet like the iPod Classic 3rd generation above, will stay in my collection forever. True, this is not the first iPod that utilizes flash memory for internal storage instead of the then conventional miniature hard drive. iPod Shuffle 1st generation was released more than half an year earlier than the iPod Nano and already utilized flash memory. However, in my mind, the iPod Shuffle is an overly simplified device and lacks much of the features to really call it a true iPod. So I put iPod Nano as the first fully featured iPod to utilize flash memory for internal storage. And flash memory is a big step forward from the miniature hard drives Apple use to use in the iPods, paving the road for the iPhone, iPod Touch, and iPad in the future. The second important factor of the iPod Nano is its form factor. The iPod Nano is about half as thick as the iPod Mini that it replaces, only 6.9mm thick. 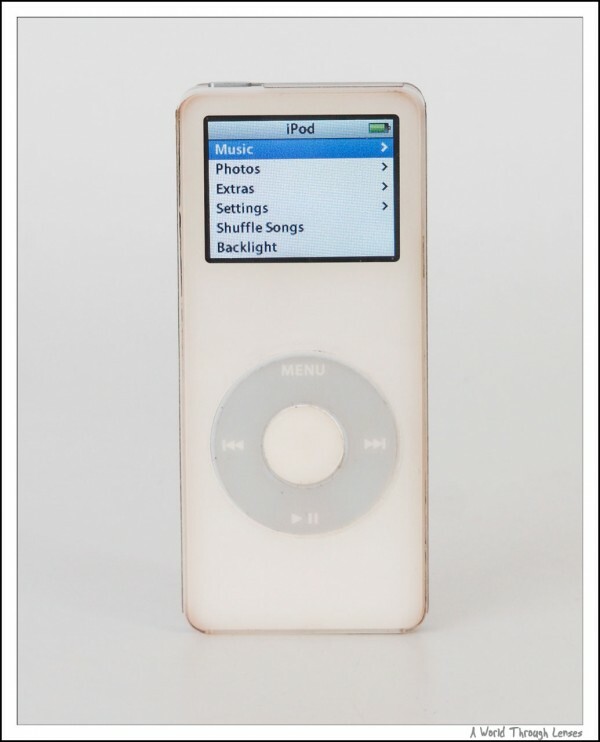 And over the years, iPod Nano remains to be the thinnest iPod or iOS device that Apple has ever made. And that super thin look has since been the trend of Apple as well other manufacture’s design goal. I still remember the time when Steve Jobs took the iPod Nano 1st Generation out of his pocket back in 2005, when he turned it to its side to show off the thickness, I am instantly hooked. I know I want to go out and buy one just because of that thin form factor. And today, when you turn your fancy iPod Touch to its side, looking at it’s metallic back and the thin bezel, remember, it is the iPod Nano that started it all. 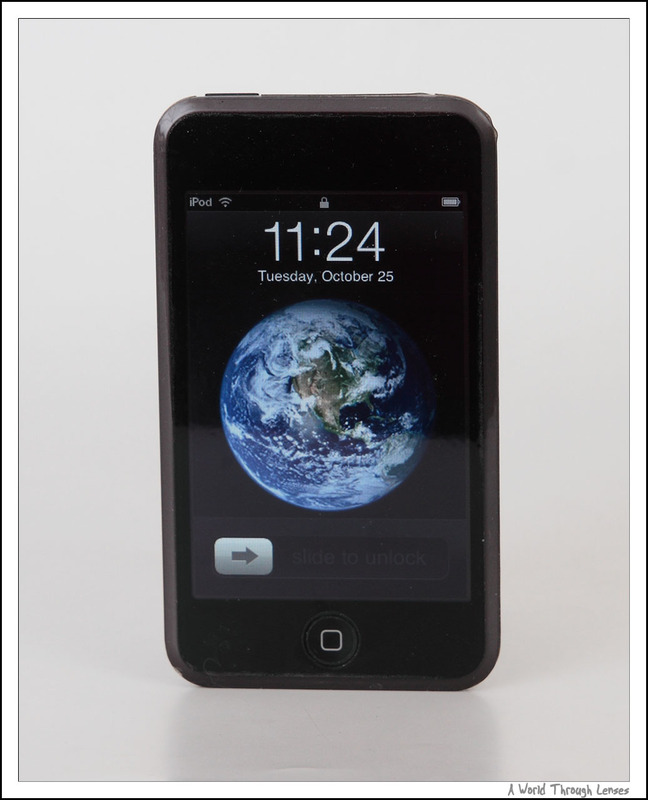 This is the iPod Touch 1st Generation, released in September 2007, 3 months after the original iPhone. Because the iPhone and iPod Touch 1st generation was released to close to each other, I consider them to be from the same time period. Yes the iPhone is a revolutionary product, however, being EDGE only, the device is painfully slow to surf the web or read any email with even a small attachment. In the end the iPhone users relied on Wi-Fi hotspots heavily to get those things done in a more timely fashion. The iPod Touch on the other hand does not pretend it can get on the Internet anywhere it goes, and it does everything else the iPhone did sans the phone and the camera. So to me, it is in fact a better device. 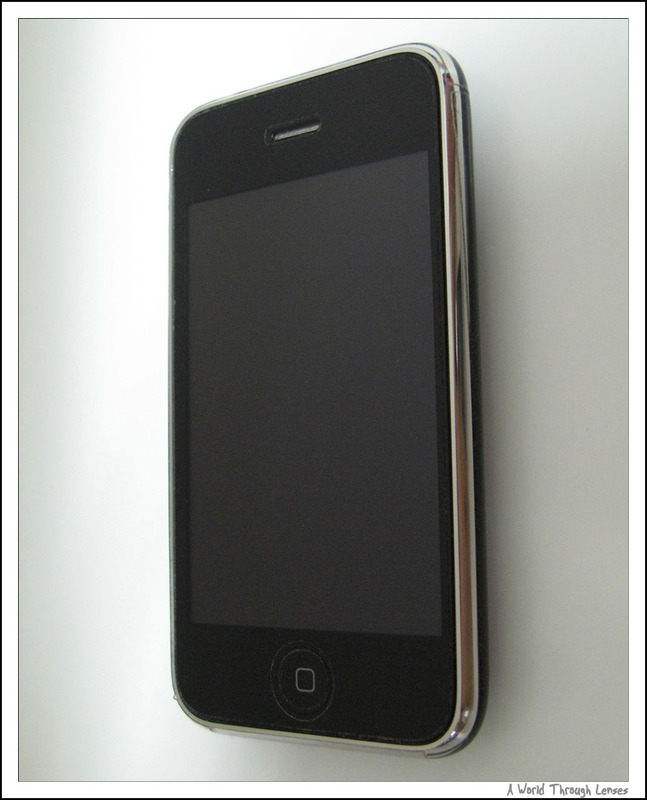 In my collection here, you will find no original iPhone, but instead an iPod Touch 1st Generation. The iPod Touch permanently replaced my old trusty PDA, then a HP iPaq, and forever retired the stylus from my mobile work life. And I do thank Steve for making my world a better place when I’m outside of the office. I actually still owns an iPhone 3G which I consider to be the iPhone Steve Jobs envisioned in the first place. However it was not around when I took the tribute photo. So I replaced the iPhone 3G with my current work horse, the iPhone 4. I’ve mentioned before that the 1st generation iPhone is really horrible on the road. Supporting only EDGE, the Internet on the original iPhone is too slow for a good experience in either browsing the web or reading an email, both of which I think is what really shines on the iPhone. But the iPhone 3G changed all that. By supporting the 3G UMTS/HSDPA network, the phone is finally capable of loading the web pages reasonably quickly and being able to open and read those email attachment without having to get a cup of coffee first. 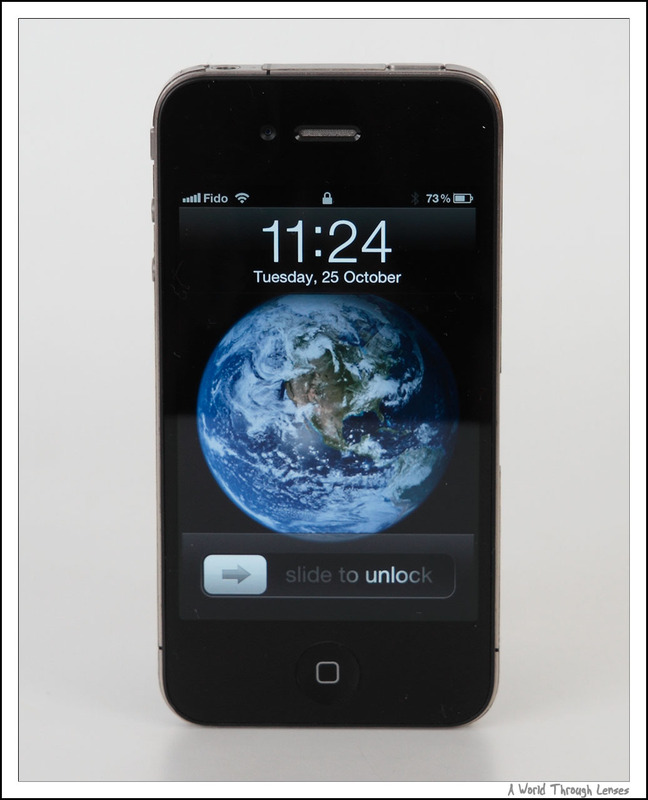 The iPhone is the device that finally unified all the gadgets that are typically in my pocket. For the longest time, I have a phone, a PDA and an iPod in my pocket when I’m on the road. 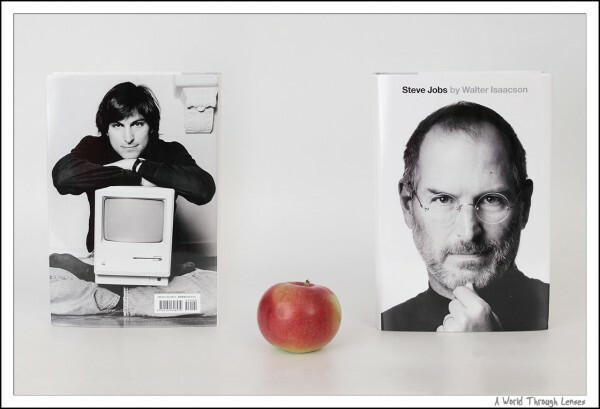 The iPhone merged these 3 devices into one device with a size that’s equivalent to just one of those devices, just like how Steve presented it. And best of all, now I also get mobile Internet on the road. And with the later introduction of tethering capability of the iPhone, I can even have Internet on my laptops and my desktops where Internet is not normally available. Out of all the Apple iDevices, the iPod is just a really good take on other MP3 players, the iPad below is just a big iPod Touch. The iPhone on the other hand, is probably one of the device that changed my life the most. To me, it is truly that magic devices that changed everything. The iPad – Apple’s answer to tablet computing. This is my iPad 2 since I did not buy a 1st generation iPad. The iPad is a nice device to have, I know that ever since the original iPad’s announcement. But I’ve always maintained that I can easily live without an iPad. And yes it is still just a giant iPod Touch to me even today. However, for as long as the cost is not an issue, the device is very nice to have. I no longer have to turn on the computer just to check a few web pages, or to read my email, or to perform some simple tasks. I can even use this device on the road to do simple work. And with the right app, even more can be done right on the iPad. All these in a package that’s smaller, lighter, prettier than any equivalent notebook, netbook, tablet, etc. So even though this is still an enlarged iPod Touch, the iPad is none the less a very capable device. Just like what iPhone is to the mobile phone / PDA devices, a tablet operated by your finger is way better than those that needs a stylus. And the price? Up to today, no competitor is able to produce a device with similar capabilities for less money than an iPad. And so the iPad made itself onto my list of important products Apple has ever produced for creating a brand new finger operated tablet computing era; and to bring a device, that in contrary to nearly all other Apple devices, presented a good value for the money when compared with other offerings. And of course I would also like to mention that Steve’s other company, Pixar Animation Studio, also have made a lot of contribution to my world. 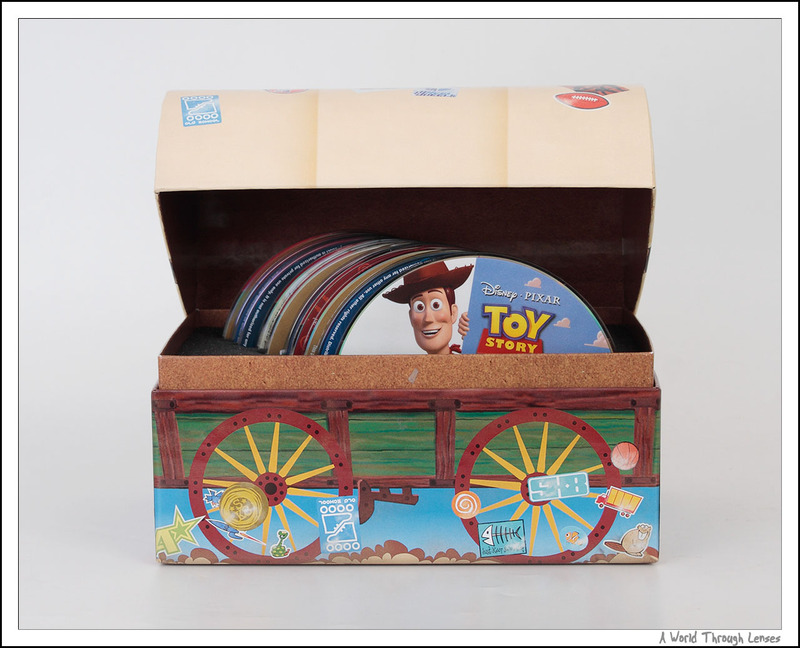 Their animated short film Luxor Jr. and later their first animated feature film Toy Story has captured my heart for all these years. I remember that my university computer graphics course had a GL animation project. And what I submitted was an animated lamp hopping around which is in fact a tribute to Pixar’s Luxor Jr. 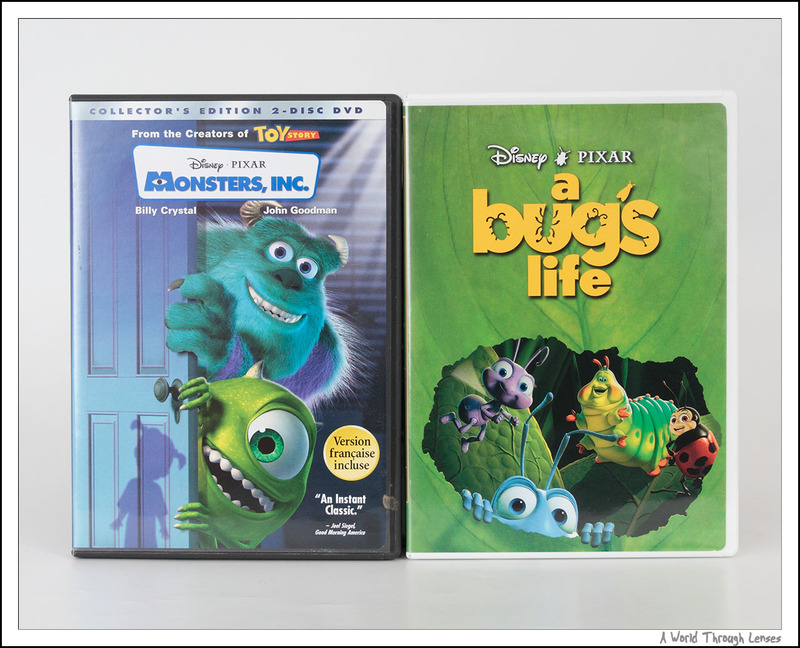 I am probably against the whole world on what I am about to say here, but to me, Pixar’s best feature films has been Toy Story (1995), A Bug’s Life (1998), and Toy Story 2 (1999). That’s right, I consider Pixar’s first 3 feature film to be the best of their works. 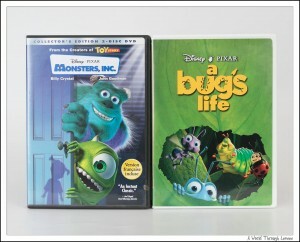 Ever since Walt Disney bought Pixar in 2006, Pixar’s products has been going down the hill. Sure the animation techniques has improved, the levels of details has improved greatly, and everything technical you can think of is far better than what they can do in 1995. Yet, the film, the story, the kind of emotions it brings you, and what it leaves you with to search for yourself has since went down the drain. Toy Story 3 was a reasonably good product, but honestly, I think Toy Story and Toy Story 2 is much better. I am against the entire world here, and I’m sticking with it. Pixar was way better when it was independent and in Steve’s hand, it was now a pawn under Walt Disney’s control. And as you can tell, I have NOTHING good to say about Walt Disney. At least I can get the Studio Ghibli’s films in its original state directly from Japan instead of the butchered English release from Walt Disney. That aside, I am really grateful to Steve for bring us Pixar Animation Studio. Disney has made Steve rich, but Pixar has enriched my life. So now that I’ve gone though all my collections that Steve Jobs has helped to bring to reality, I would really like to say: Thank you, Steve. You have definitely made a significant impact in my life. And I shall forever remember that. Steve Jobs: 1955.02.24 – 2011.10.05. Nice! 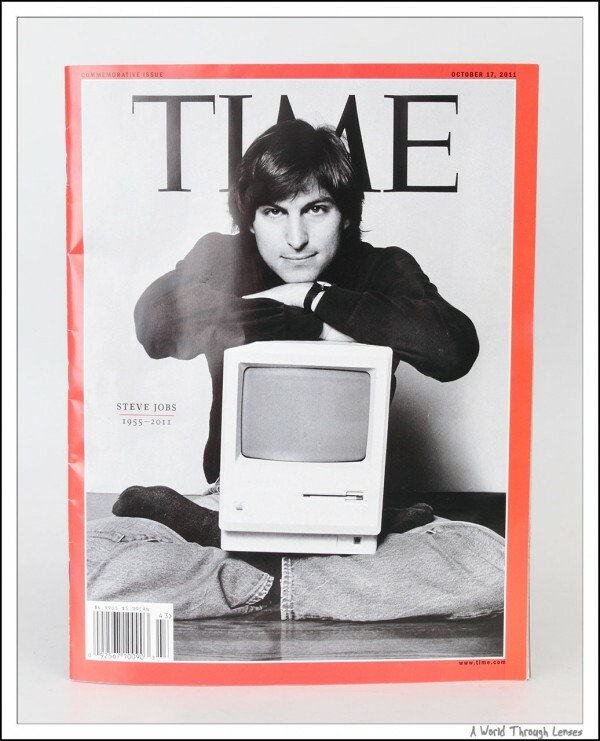 Regardless of what people say or think of Apple as a company, their products or Steve jobs, the world does need more visionary people like that.